The archipelago of the Azores is an autonomous region of Portugal located in the Atlantic Ocean, a mere 1300 km from the mainland. It consists of 9 volcanic islands, split into three geographical groups. 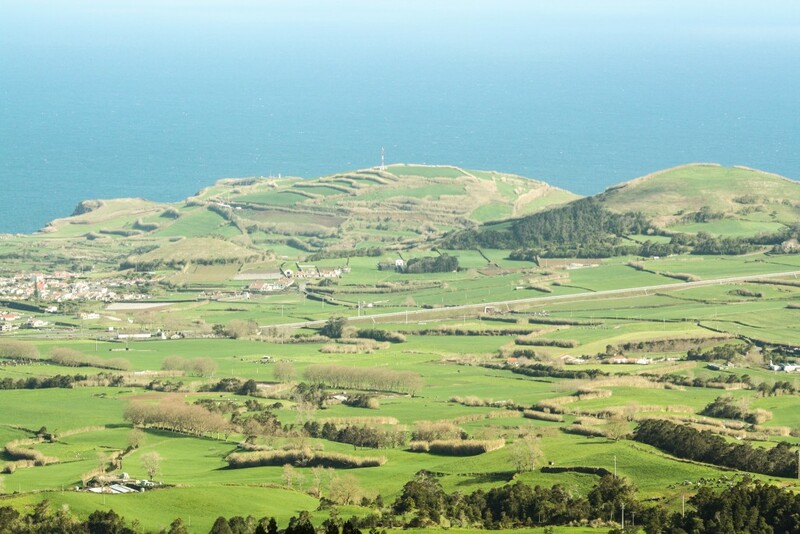 Today we’ll be highlighting a few good reasons to visit São Miguel, which is part of the eastern group and also the biggest and most populous island of the archipelago. 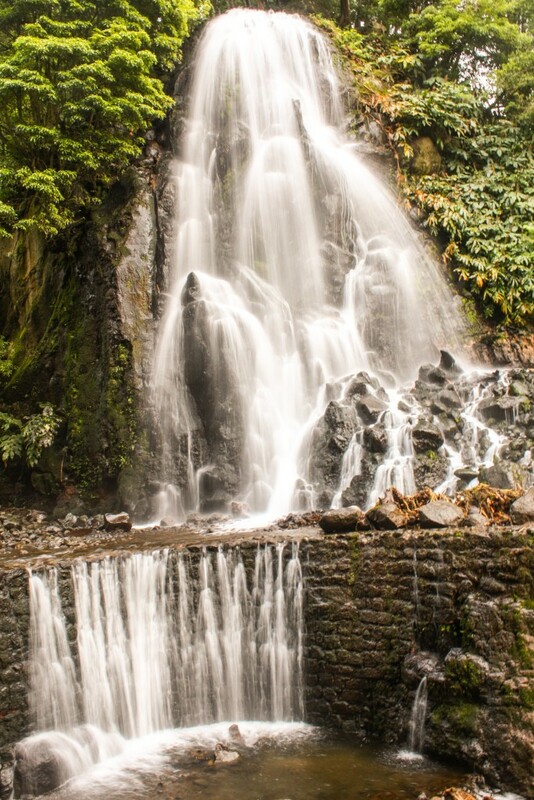 We were fortunate enough to visit São Miguel not long ago and it was a wonderful experience. The natural beauty of the island is what made us go in the first place, but also the desire to get to know and discover more of our own country. 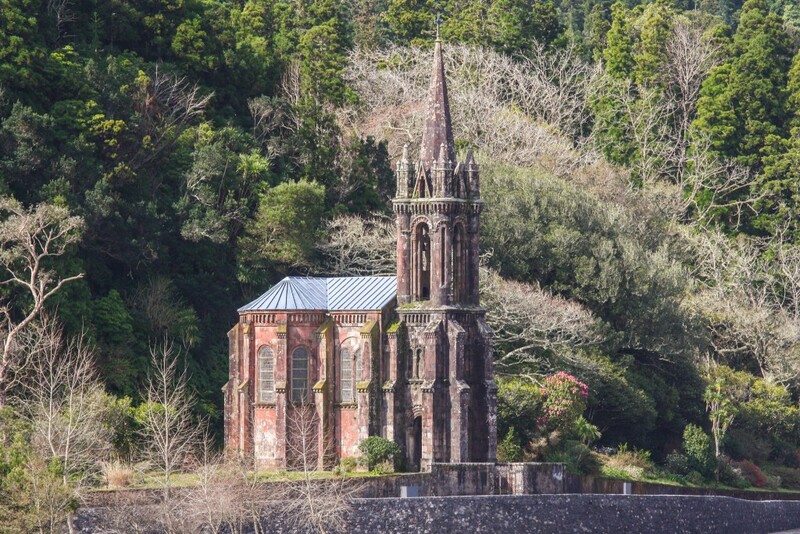 Although more popular with tourists these days, São Miguel is still very calm, particularly during the low season. We visited in April and spent hours every day without seeing anyone or at least any visitors. With the introduction of low-cost flights to the island, the tourism industry will grow stronger. Let’s look at some of the reasons why you should visit São Miguel and the Azores. 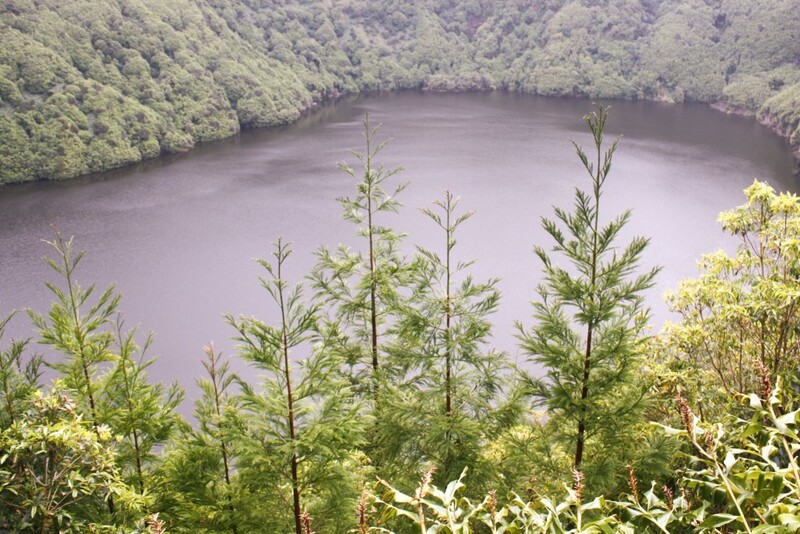 São Miguel has many volcanic features, including huge craters where even small villages can be found, but the most interesting aspect is when lakes form inside craters and calderas. 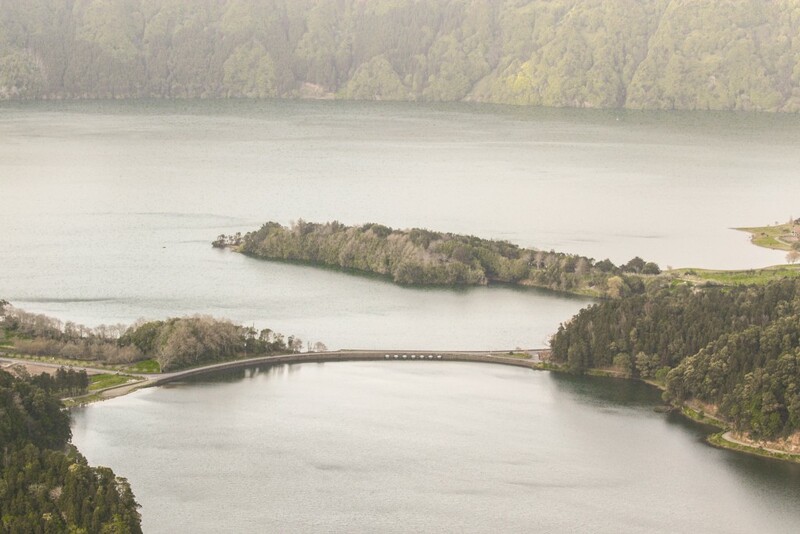 Lagoa das 7 Cidades, with two twin lakes, green and blue, separated by a small bridge, is impressive! The views at the lake level and especially at the top of the crater are stunning if we mind the fog, which is very common. The viewpoint from the south is the most visited one – Vista do Rei. 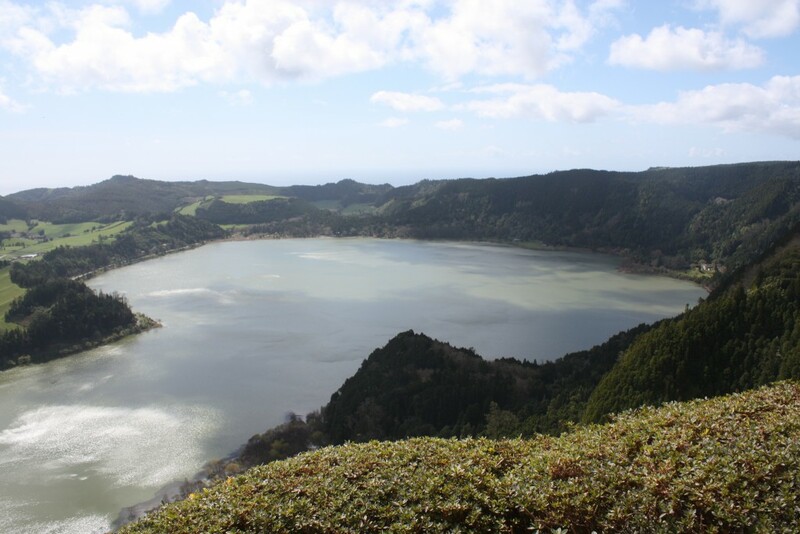 The two other major ones are Lagoa do Fogo and Lagoa das Furnas, both must-do while visiting the island. And that’s not all. 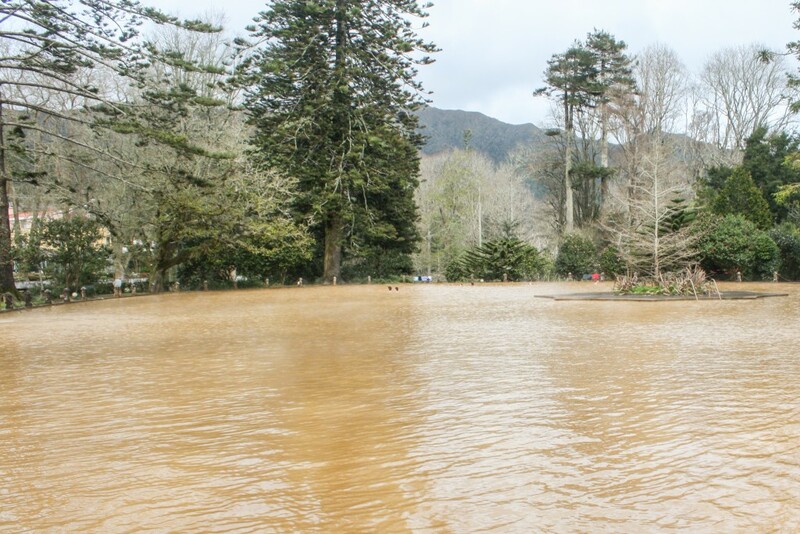 Plenty of other lakes exist all over the island, some with more difficult access. 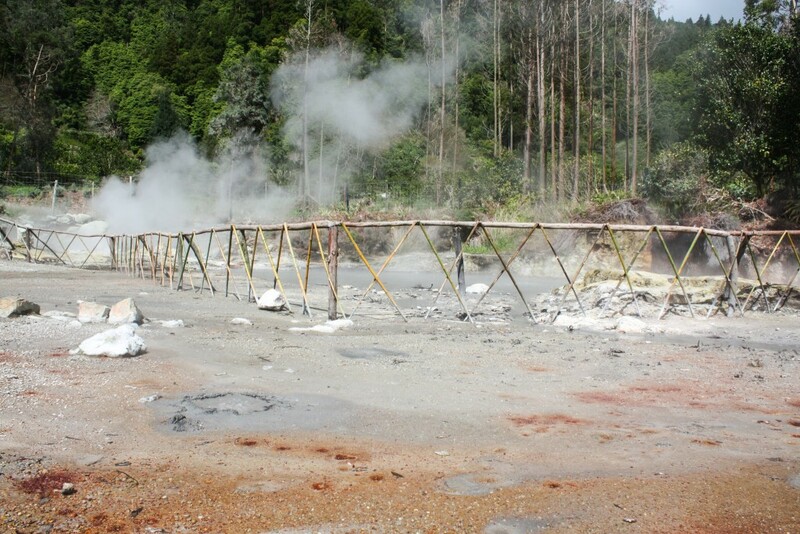 Since we’re on the volcanic theme, what about some geothermal fun? Besides the common boiling mud pools and steam, the most interesting thing is a typical dish called Cozido das Furnas, a stew. Why is this interesting? Because it’s cooked by placing a pot in the ground and taking advantage of the hot steam, all of this for 6 hours. 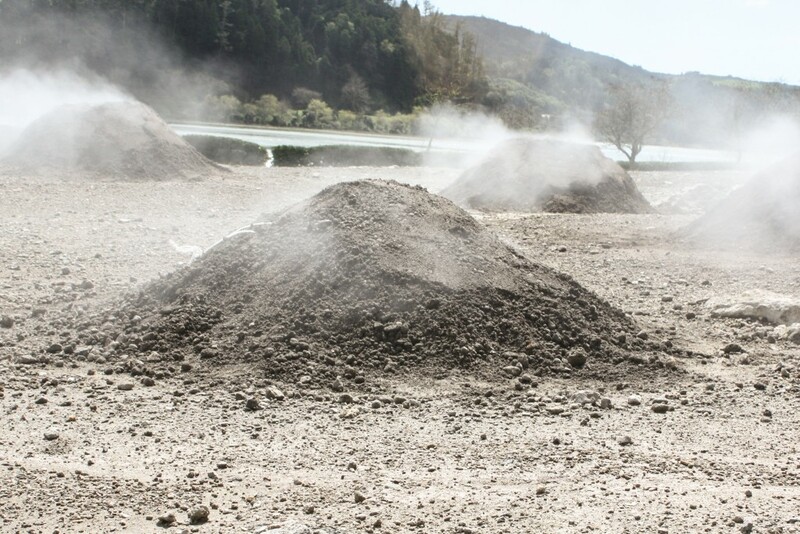 In the village of Furnas, there are restaurants that serve this dish and its preparation can be seen by the lake, next to the geothermal area. 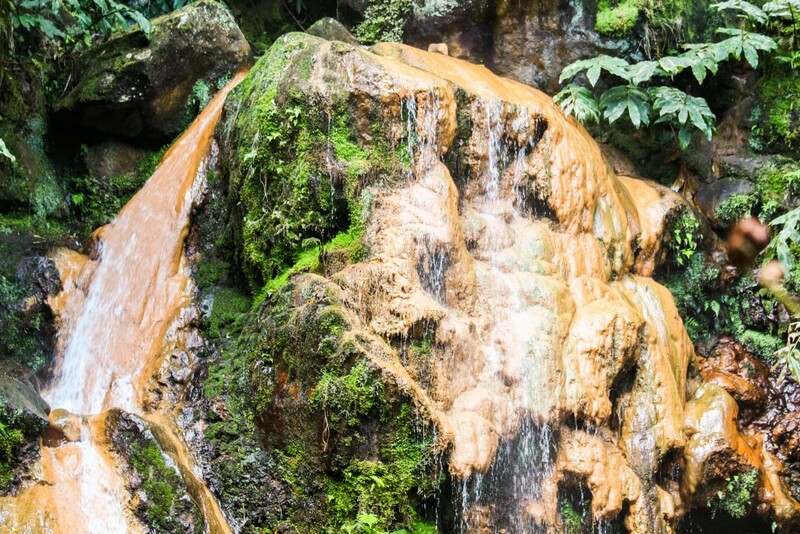 With plenty of natural heating power, the thermal pools are a great way to spend a couple of hours relaxing. 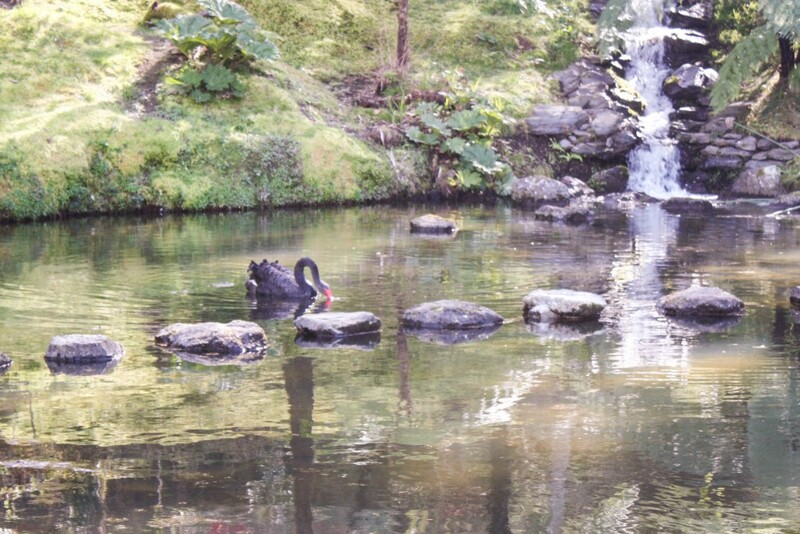 In Furnas, visit Dona Beija and Terra Nostra. There’s no shortage of picture-perfect landscapes, notably the ones with the immense sea as a background. 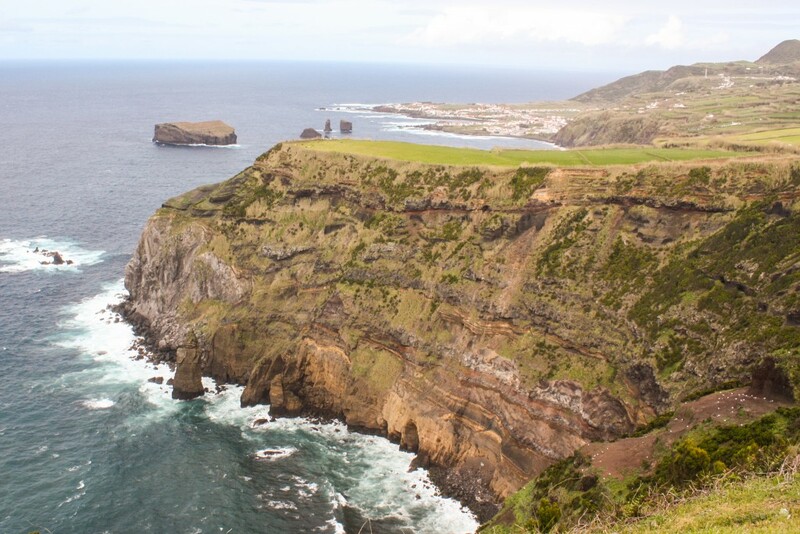 Spectacular cliffs can be found around the island and the majority of viewpoints can easily be found. 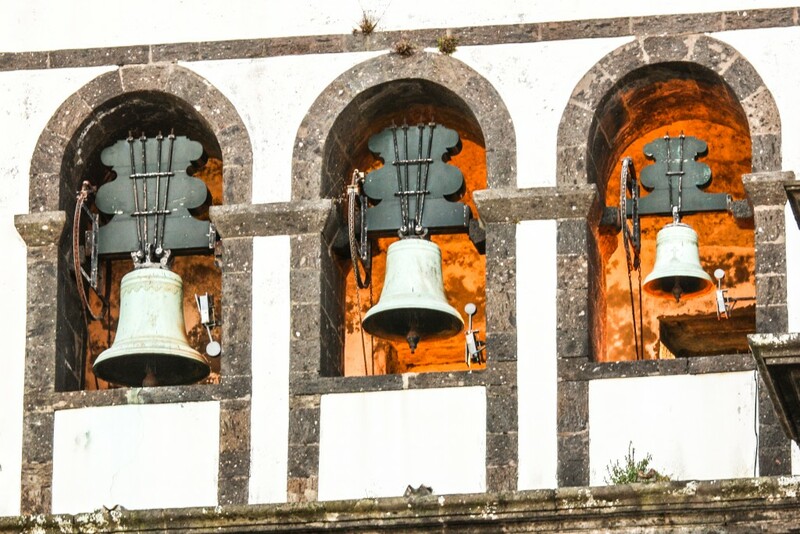 São Miguel and especially downtown Ponta Delgada has many heritage sites, mostly religious ones. 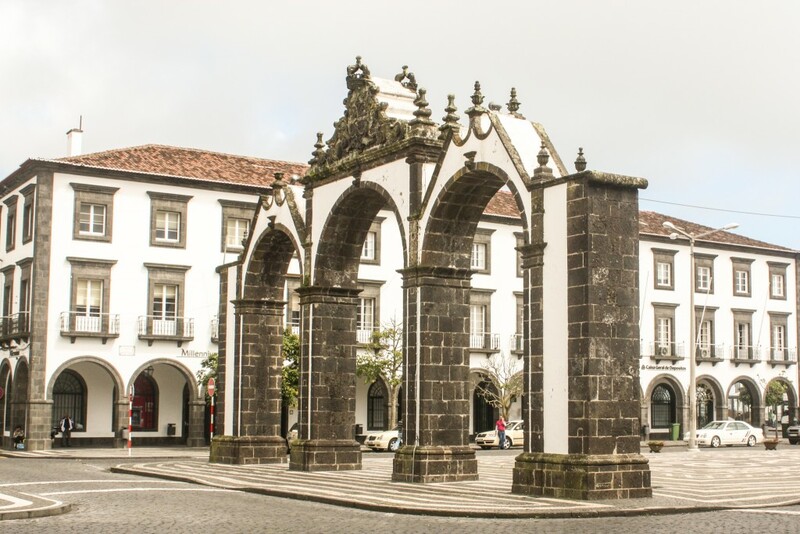 The most famous one, that shows up on every postcard, is Portas da Cidade (Gates to the city), a 3-way arch. Every other town has at least a small church. 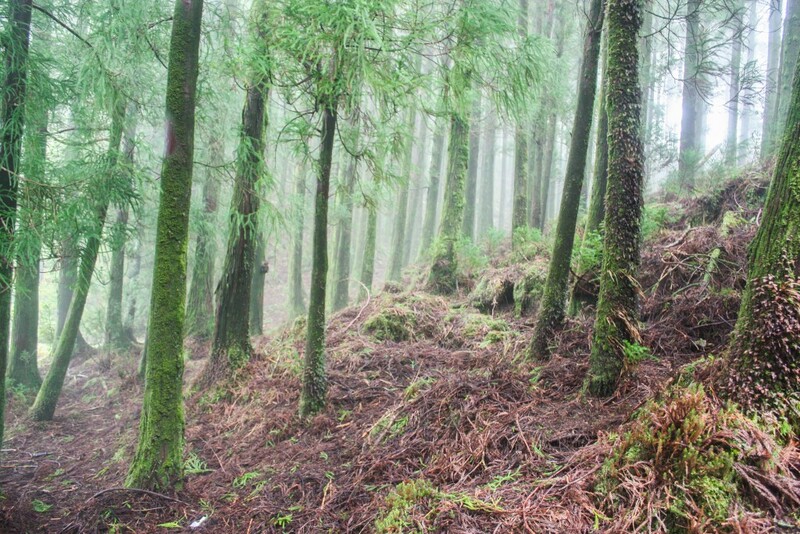 São Miguel is nicknamed the “The Green Island” and there’s a lot of truth in it. The island’s many parks and gardens make it a joy for nature lovers. A few examples of parks are Caldeira Velha, Ribeira dos Caldeirões or Lagoa do Canário. 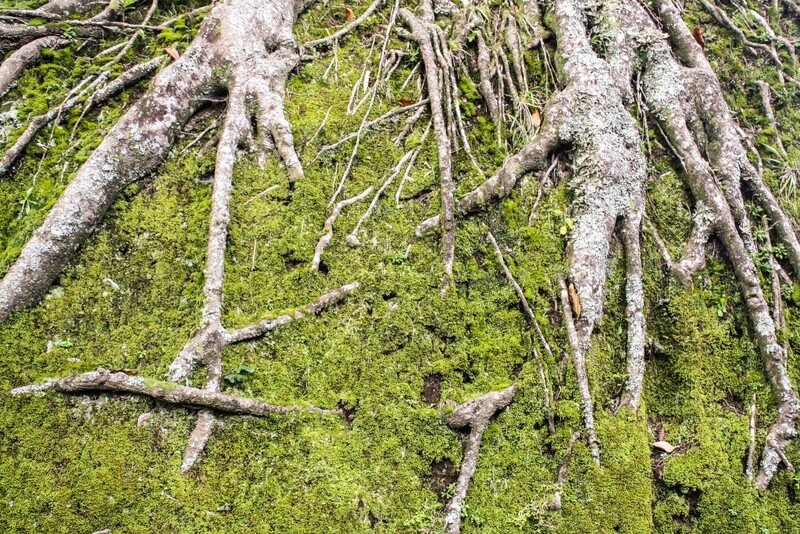 In terms of gardens, the biggest highlight has to be Terra Nostra, an amazing botanic garden in Furnas. 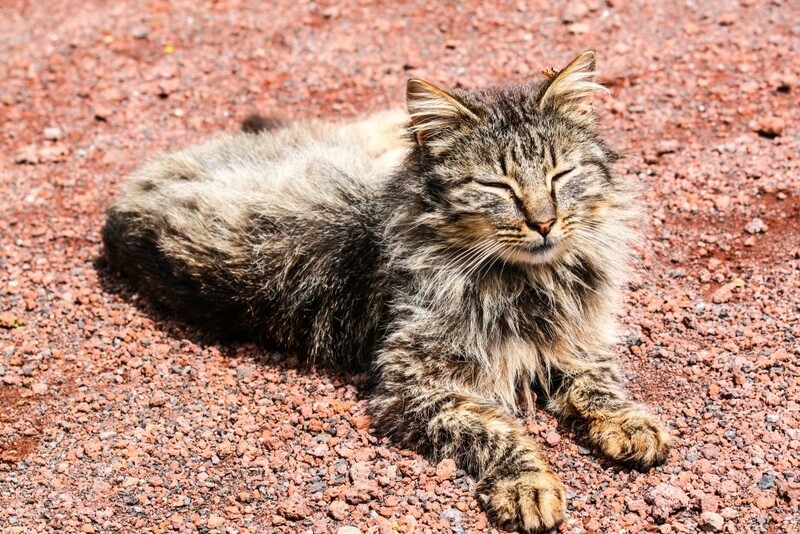 Whether it’s a gang of ducks in Furnas, a big cat family in Ponta do Sossego or the many many cows, you’ll find new friends. We surely did with a cow licking one the car’s mirrors while we patiently waited for 100 of them to pass by. 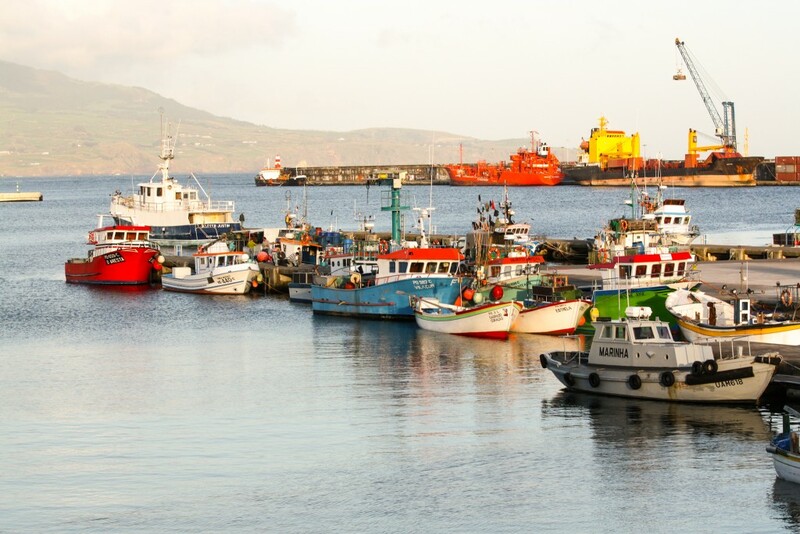 Fishing is one of the main industries of the Azores, with many fishing villages found throughout the island. This brings an excellent opportunity to taste delicious fresh fish. When we visited we had a few different types of fish that are normally not available in mainland Portugal. Such meals will be more expensive yet very tasty! Another good reason to visit São Miguel is the unique Azorean pineapple, small and with an intense flavor. 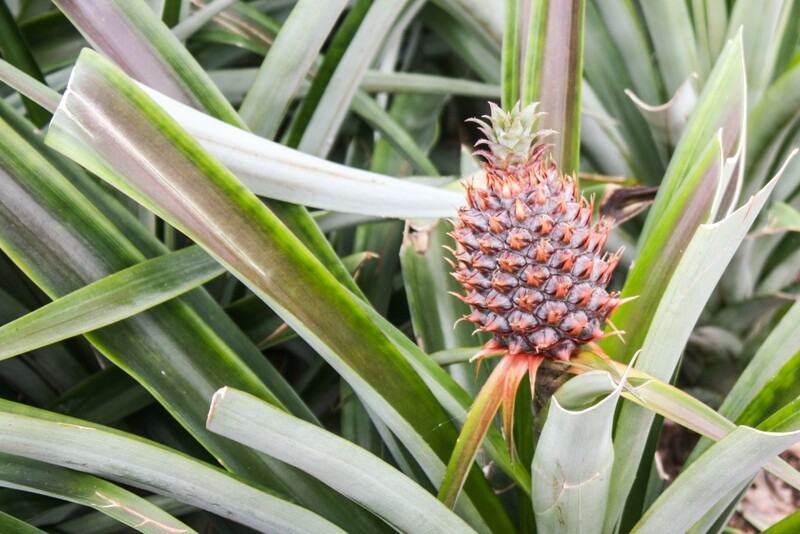 The pineapples are raised in greenhouses for about two years and the whole process can be seen by going to one of the plantation sites. 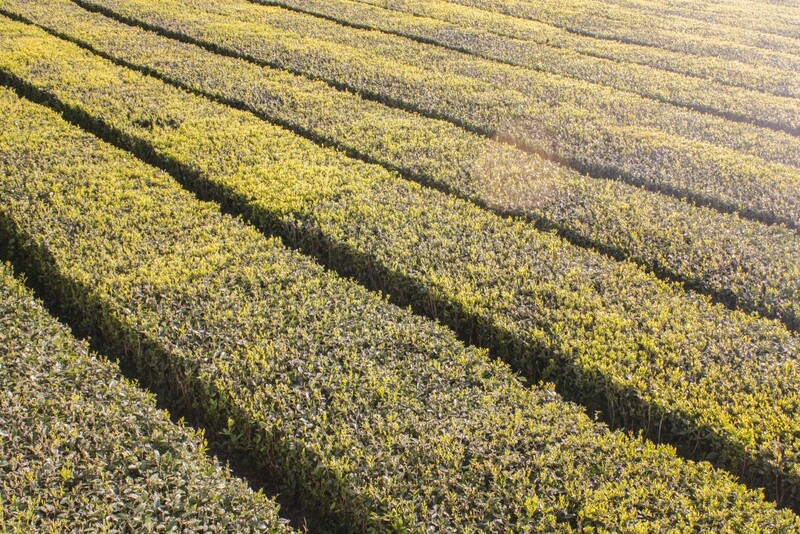 We now live in a country where tea is very popular, but what if we told you that the oldest European tea estate is located in São Miguel? That’s true. 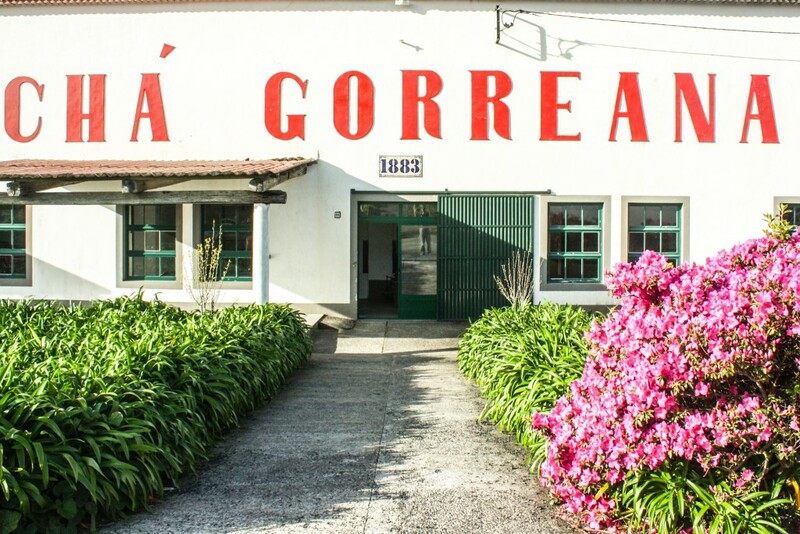 We’re talking about Gorreana, a very famous tea estate with strong traditions and an extensive tea plantation. 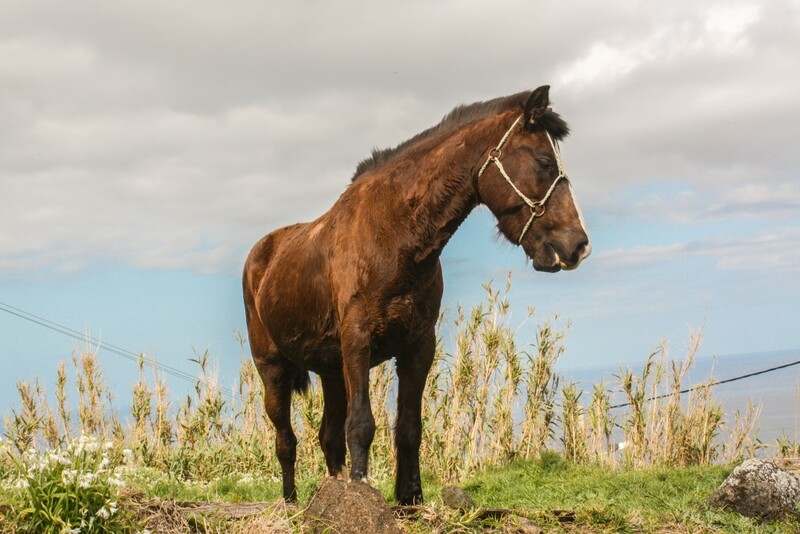 The factory and the plantation can be visited nearby Ribeira Grande on the north coast of the island, and tea can be bought right there. Also in this region is another important tea estate, Porto Formoso. Both are worth visiting and within minutes of each other. 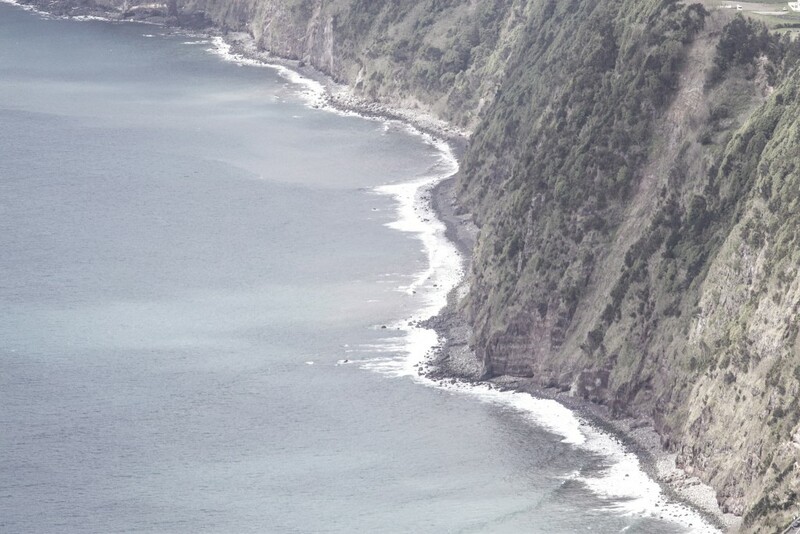 Whale watching is one of the biggest attractions of the Azores and also widely available in São Miguel. We’re not very lucky when it comes to whale watching as we’ve discussed before, but the islands are renowned worldwide for this. 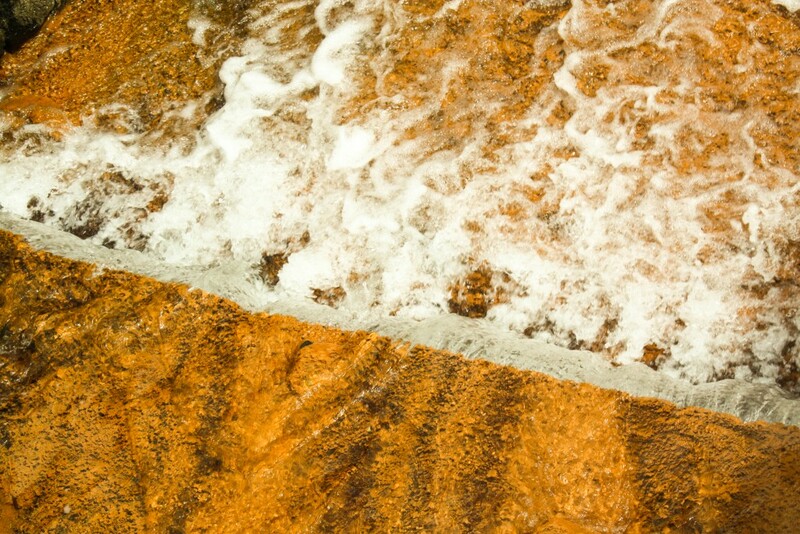 Bathing is not exclusive to the thermal pool as there are many beaches where the water is actually quite warm! Ribeira Quente and Ferraria are two of such places. 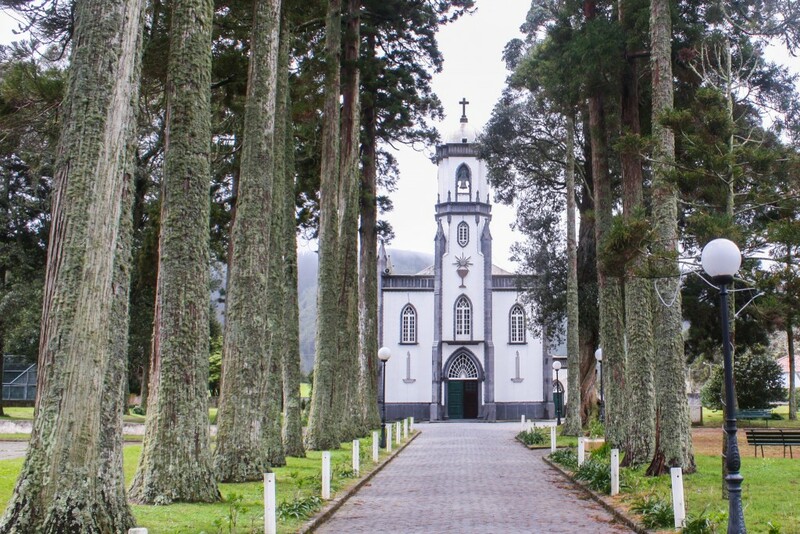 We’ve highlighted a few good reasons to visit São Miguel and the Azores, an amazing region of Portugal, and hope you’ve enjoyed reading about it! Have you been to the Azores? What are you looking for when visiting? Let us know! 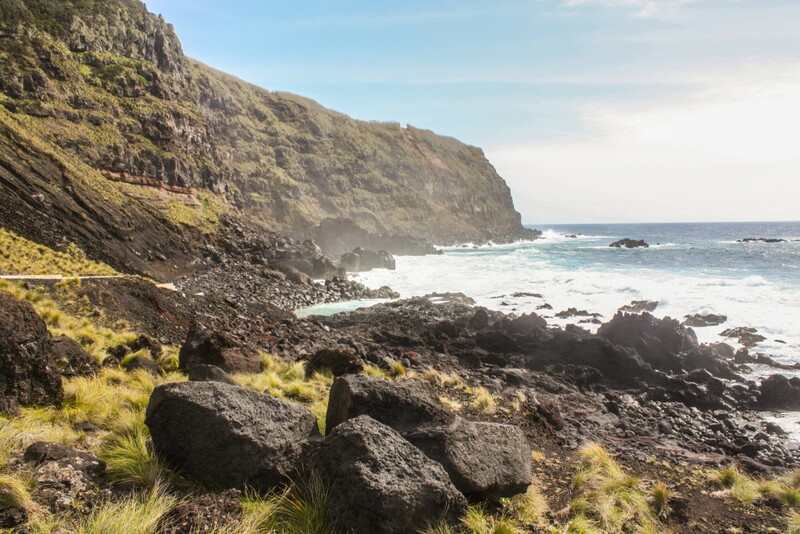 As an Azorean I can validate you have covered almost all the main reasons to visit the Azores (or at least São Miguel…). I would only add whale watching as it’s kind of a rare activity and the islands have great conditions to do it. Cool! We really enjoyed our time there. Too bad whale watching didn’t work for us that time as the Azores are a world-class place to do it. 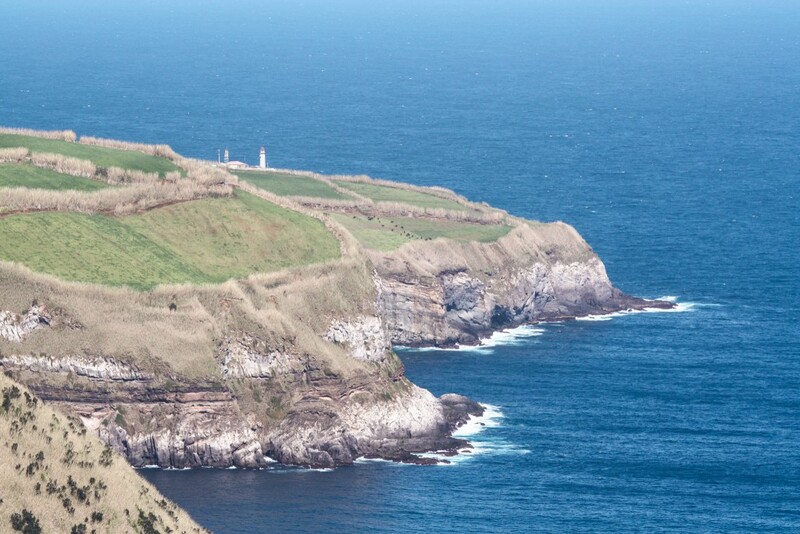 Can ‘t wait untill my husband retires from the Dutch navy, because the Açores are the most beautiful of all places we have visited, and in a few years we will immigrate to this paradise! Don’t forget to take a sailing trip on the ocean with a catamaran, with our friend Luís, search the internet for Catazores! Or ask in PD in the harbour! Great experience! 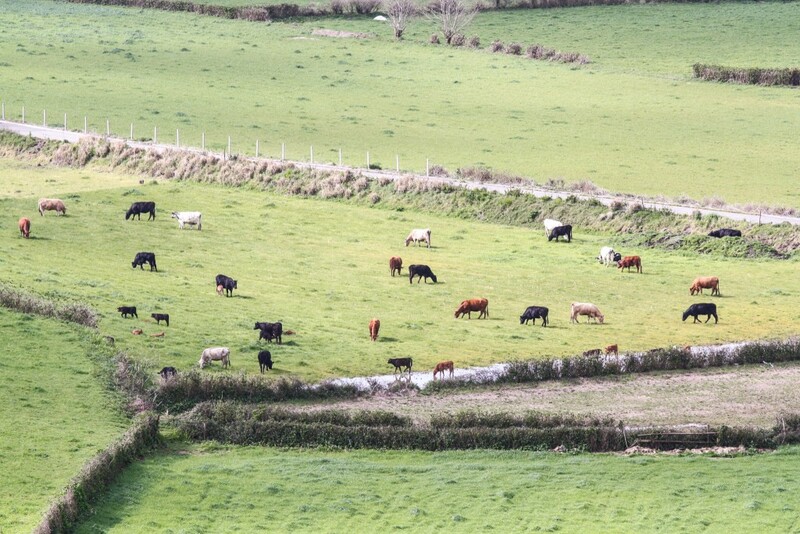 Glad you enjoy the Azores so much that you’re willing to retire there! Amazing story. Just did a quick search and the catamaran looks great. Will definitely think about it next time we visit. 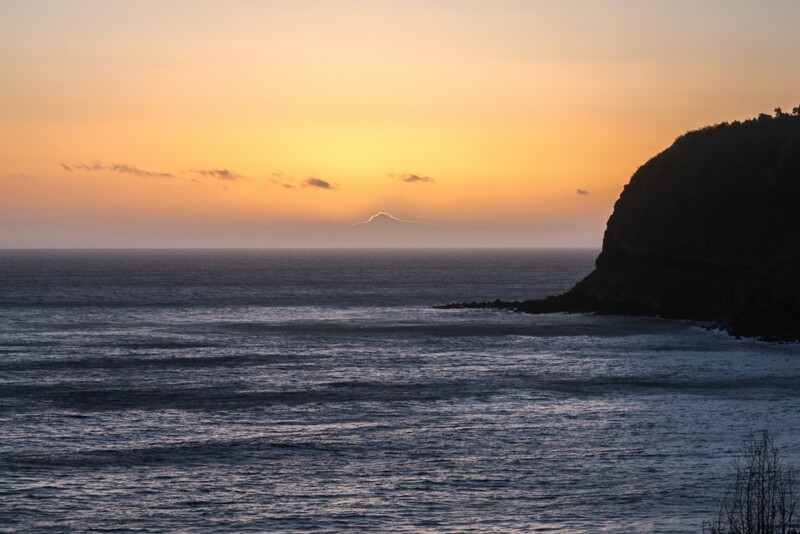 You explored and visited many places in Sao Miguel island (perhaps the most known and visited) but I assure you there’s many others that are real hidden gems ready to be discovered like all the northeast of the island. We’re aware the islands have a lot to offer and that we left a few things behind. Another reason to visit again! Thanks for your suggestion, we’ll take a look. We were fortunate to have just returned for sao Miguel! It is truly beautiful, diverse, lush, one minute we were walking in the forest with redwoods and then minutes later surrounded by bamboo! It is definitely a holiday where you can get active!!! Hiking was wonderful with incredible falls, forests, craters and lakes. We had a busy 2 weeks and managed to fit in all that is described in this article except missed the chance to whale watch, on the agenda for next year! Looks like you had an amazing time there! São Miguel and the rest archipelago are beautiful. Well worth a visit. Hi, you made very beautiful photos! If I may add (as no one did) Sao Miguel is also a paradise for different outdoor activities apart from hiking and swimming also for surf, mtb and snorkeling. I think snorkeling at volcanic island next to Vila Franca do Campo, the Ilhéu da Vila Franca is a must! You’re right. Ilhéu da Vila Franca is an amazing place to visit! 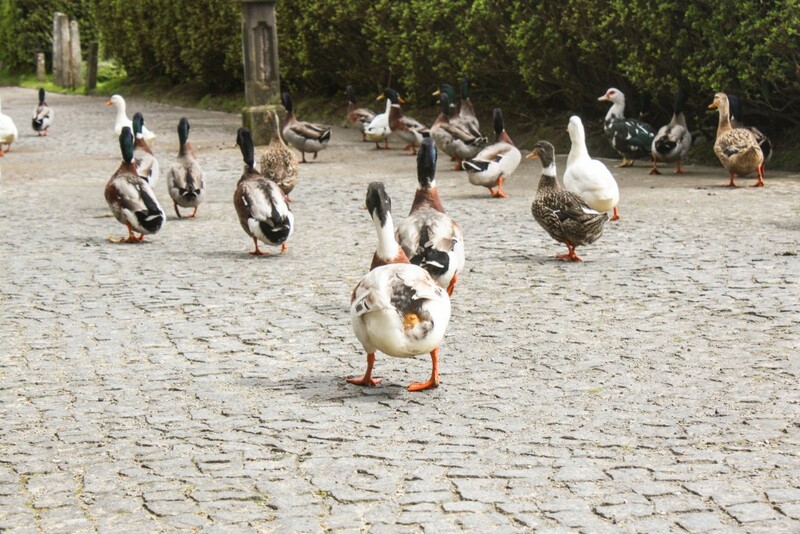 Plenty of this to do in São Miguel! Thanks for the amazing article and the breathtaking photos. Looking forward to catching wind of your next adventures.